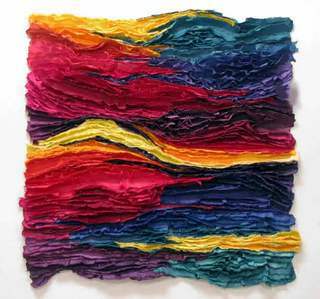 Description: Meet mixed-media artist Toby Klein and get a first glance at her new exhibit at Aldridge Gardens. Like a kaleidoscope, Toby's contemporary art is created with a burst of color, symmetry of design and motion. Her goal is to intrigue each person by drawing the eye into the piece of art, while holding it there so they can see all of the intricate detail. In developing her style, she has always been intrigued by different and unusual pieces of art and has strived to do the same in her work. Her work is contemporary and ranges from different degrees of abstraction and experimental to representation. Her images both representational and non-objective show the use of color, design & techniques as seen through the artist's eyes. This form stopped accepting submissions on December 10, 2014 6:00 pm CST.